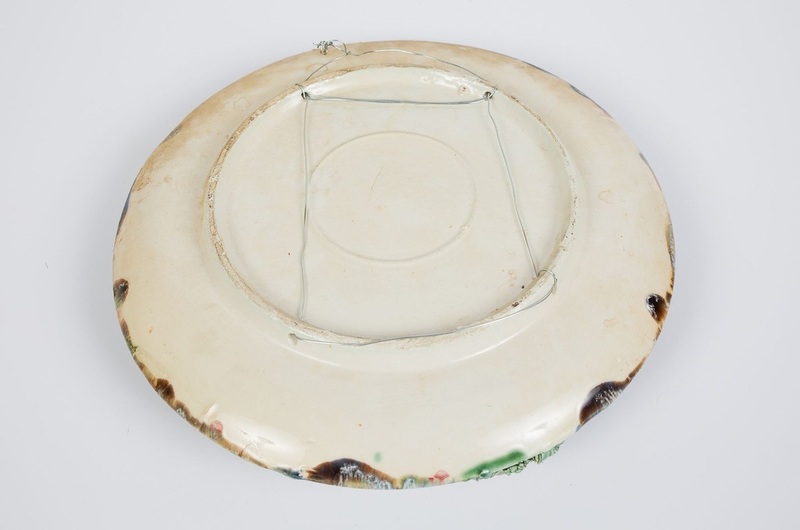 Palissy style majolica spider crab plate. 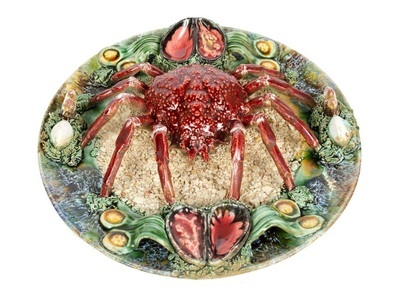 Circa early 1900s. 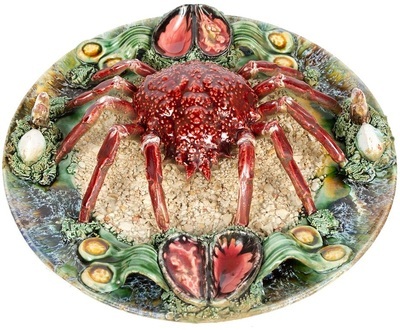 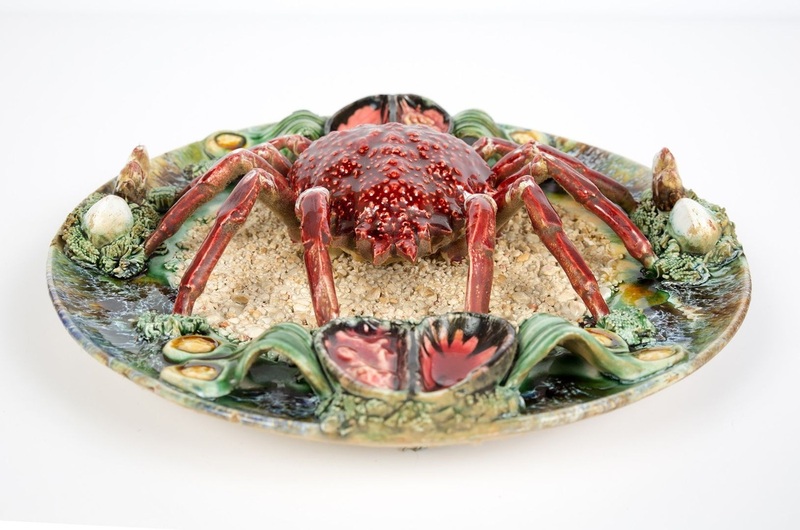 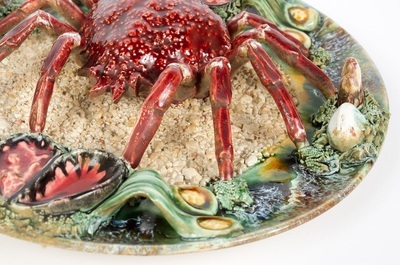 Portuguese trompe-l'oeil platter features a spider crab on a textured and mottled ground of sand, mussels, seaweed and shells. Impressed marks on the reverse.